A Swedish non-profit hopes a new set of emojis they released will help children and teenagers signal instances of abuse or communicate their stressful situations to adults when words aren’t enough. 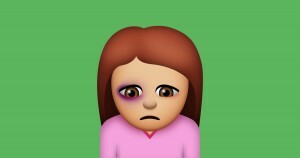 BRIS, an organization that runs a national children’s helpline, created the “Abused Emojis,” an application that comes with a range of images that depict bad feelings and illustrate mistreatment. BRIS spokeswoman Silvia Ernhagen said the emojis are a “door opener” for children to talk about these difficult topics. 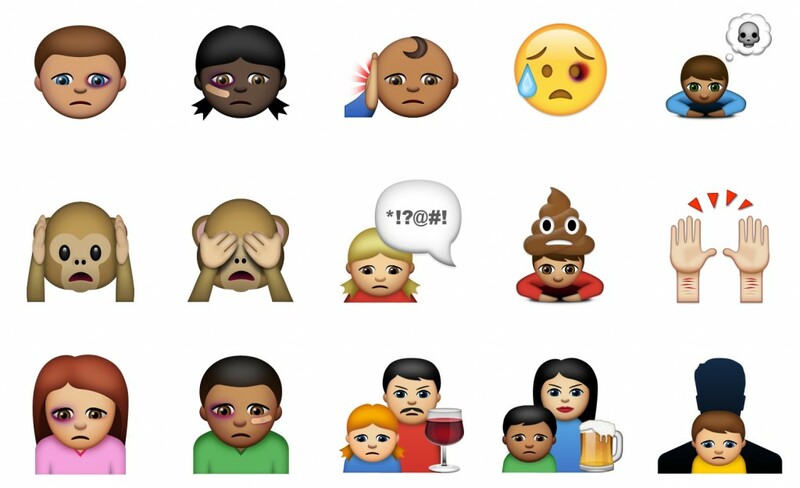 Unlike a typical set of joyful emojis, BRIS’ collection includes a sad child with a black eye or bandage on its cheek, images of parents drinking beer or wine, a child contemplating “dark thoughts” (represented with a skull) and a child witnessing verbal abuse. BRIS hopes the emojis expand a child’s vocabulary to communicate without words. In one emoji, a familiar poop symbol sits atop a child’s head. It’s similar to saying that you “feel like crap,” Ernhagen said. BRIS’ abuse emojis follow a recent update to the emoji keyboard in February when Apple introduced new skin tones for the symbols. Daphne Young, spokesperson for the Childhelp National Child Abuse Hotline, said she’s unaware if anything comparable exists in the United States, but that BRIS’ effort is a “brilliant” way for children to visually express their feelings. The emojis would allow nonverbal or pre-verbal children, as well as children from different cultures, to overcome any language barriers, she said. Young said the Childhelp hotline itself does have an app, among several other methods of outreach, to help the organization connect with victims of abuse, but it does not currently employ a similar set of visual cues for abuse.